The member felt that the green used on the nutritional panel made the Flora spread look healthier than it actually is. In fact, when traffic lights are applied, the spread gets a ‘red light’ for fat and saturates (unsurprisingly as it’s a fat spread!). We contacted Unilever to highlight this and asked them to change their Flora Original packaging. We’re pleased to share that Unilever agreed that the labelling could be confusing and new clearer Flora Original packaging will be in shops from this autumn. We’ve always supported traffic light labelling on food products. Our research has consistently shown that it helps people see at a glance whether something is high or low in fat, sugar and/or salt. It also makes comparisons between products much easier. It’s great that lots of supermarkets and manufacturers, including Mars, Nestle and PepsiCo, have agreed to use traffic lights on their food packaging. But many other manufacturers, including Unilever, Kellogg’s and Kraft, have yet to commit to using traffic lights on their packs. 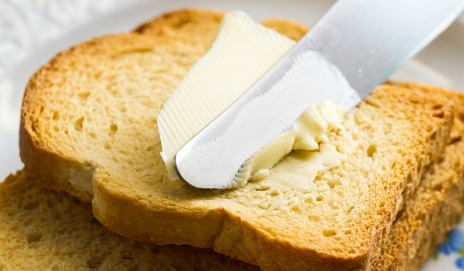 Do you prefer butter or spreads? In light of recent complaints against supermarkets, I would like to bring to your attention an example of contradicting nutritional values by a Leading food store. A recent product I purchased was labelled a meal for two yet advertised on another part of the product as 3 servings, thus the nutritional values were totally misleading, taking the fat and salt content to almost a full days allowance. This was not an isolated incident.